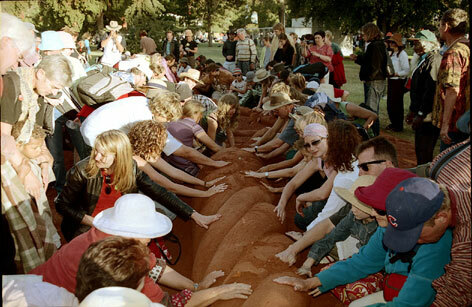 At the end of WOMADelaide, when the story telling had finished, it was decided that rather than letting all the children jump over the sculpture we would hold a ceremony ourselves to bring the event to closure. 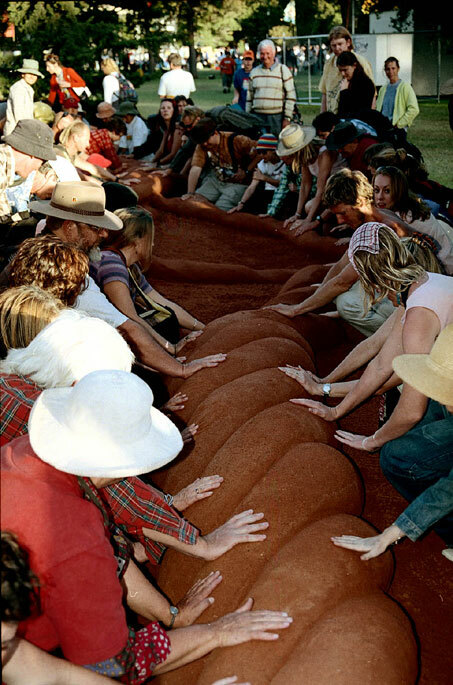 Quite spontaneously - prompted by Ushma Scales, the crowd of two or three hundred people moved forward and placed their hands on the work - before pressing it back to the ground. 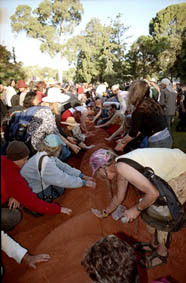 Most people had had difficulty over the three days keeping their hands off it so this felt like a big release and a fitting end to the performance.